Students are asked to bring their “A-game” to every class, project and exam. And outside of class? 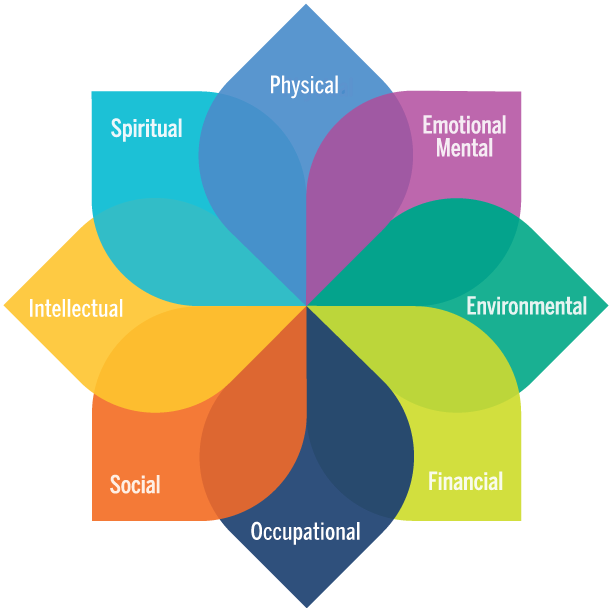 A new tool to further this work at the university is the Model of Personal Well-Being, which includes eight integrated dimensions of well-being. You can use this new model to talk with your student about how life on campus is going. You might ask about how connected they're feeling to others, how they're managing money, what sparks their curiosity and interest? Recognizing your student's holistic wellness can help them see how one part of life affects another. Originally I didn’t see health as a priority, but when I made time to exercise and get a better night’s sleep, I had more energy to get things done, focus on class and just feel better. On campus, students can make use of myriad resources to help improve their Personal Well-being, and research shows that being proactive about wellness can help students thrive.